Lincoln Electric, the world leader in the design, development and manufacture of arc welding products, was seeking a more engaging way to showcase its new state-of-the-art Welding Technology & Training Center (WTTC). While preparing to forge ahead with registration for new courses, the company’s education division consulted DeanHouston+ to develop a virtual tour to provide welders around the world with a technology solution that would allow them to “visit” and “tour” the new facility remotely from their smartphone or laptop. DeanHouston+ evaluated several vendors and recommended Matterport for its ability to seamlessly produce life-like 3D tours. 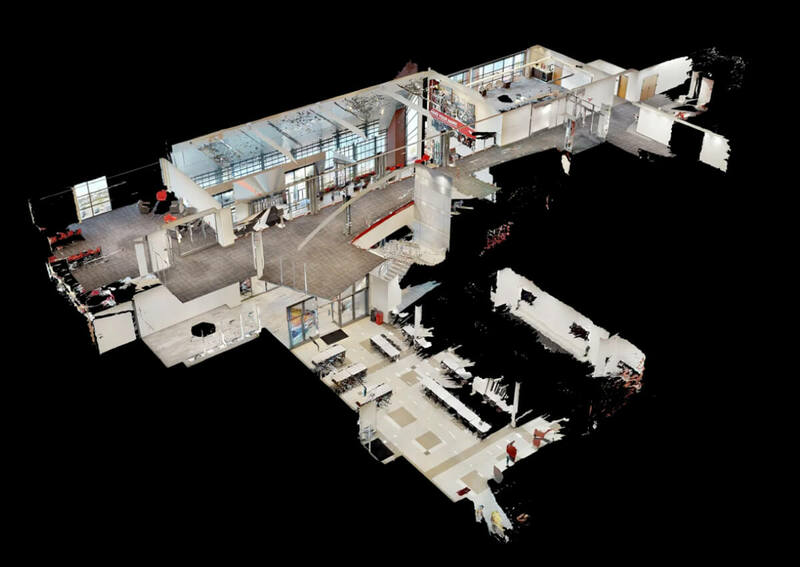 The plan required DeanHouston+ professionals to spend several days at Lincoln Electric’s WTTC to capture every feature of the center utilizing Matterport’s interactive 3D camera. After recording its classrooms, custom training center, welding labs, and other points of interest, DeanHouston+ would work on the design and development of an interactive website and tradeshow kiosk to display the end product. The virtual tour of the WTTC debuted at FABTECH 2018, North America’s largest metal-forming, fabricating, welding and finishing event. News of the groundbreaking new training center had spread quickly through trade pubs and other marketing channels, drawing many in the industry to Lincoln Electric’s booth for a closer look. Immediately following the trade show, the virtual tour went live on the Lincoln Electric website. It has since been shared across marketing platforms to provide a deeper level of engagement, allowing prospective students and welding professionals an in-depth experience of what it’s like to walk the halls at the WTTC.